Sandeep Khosla is the first to admit that being the director of pharmacy at Medipharmacy – a family-owned business founded by his parents, who now serve on the board – adds a new level of pressure. So when he proposed introducing a dispensing robot to handle the 20-strong chain’s monitored dosage systems (MDS), he knew he was taking a huge risk. After attending the Pharmacy Show in Birmingham, and having numerous consultations to design systems that would incorporate the chain’s use of MDS trays from two different suppliers, it “took the plunge”. 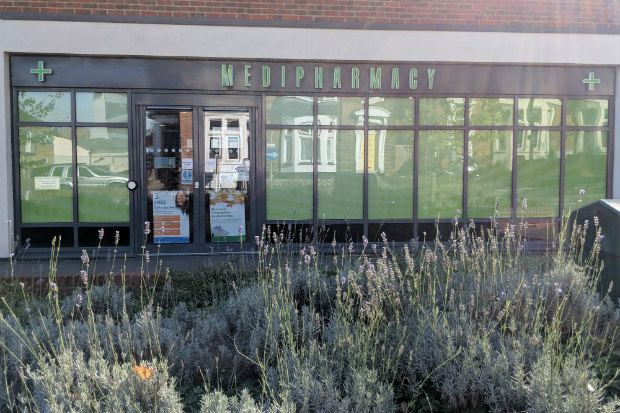 In 2017, a bespoke MDS dispensing robot was installed by manufacturers SynMed at the Medipharmacy branch in Maidstone, Kent. Today, 10 Medipharmacies are operating a hub-and-spoke dispensing model and rely on the robot to fill MDS trays for the group’s 84 nursing home contracts. Mr Khosla has ambitions to increase this to 100 contracts by the end of March 2019, but he admits this will mean making a massive investment. If the current robot is unable to handle the additional capacity, Medipharmacy will have to fork out for an upgrade, or even a second robot. “We're talking almost £200,000 for the [robot] plus ongoing maintenance fees, so it is not cheap by any stretch of the imagination,” he says. 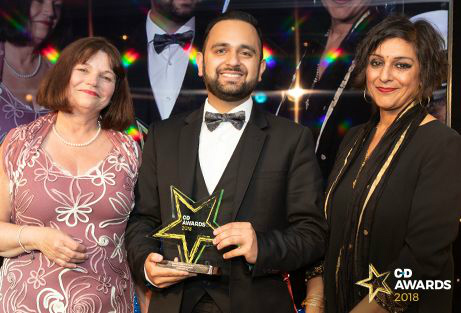 But Mr Khosla isn’t too fazed by the extra costs as he is already seeing the return on investment, winning six new nursing home contracts since the robot was installed and scooping the Business Initiative of the Year gong at the C+D Awards. With accolades like this, perhaps it's not surprising he would like to roll this award-winning strategy out across all 20 branches. Nevertheless, Mr Khosla had to justify the up-front costs and avoid disruption to everyday services while the robotic system was bedded in and staff were trained on the new hub-and-spoke model. Today, three full-time staff – two former dispensers who have since been trained to perform the final check, and one operator – oversee the robot. The operator’s main job is to de-blister the medicines and keep the machine stocked and functioning, while the dispensers perform the checks before the MDS trays are shipped to the pharmacies. This is where much of the time is saved, Mr Khosla says, as the pharmacy “spokes” perform just the one check – the clinical check against the prescription. This information is then sent to the robot to pick. The new process takes around three minutes – compared to the 25-30 minutes per patient staff used to spend on dispensing, checking and assembling the MDS trays, he estimates. The real benefit of freeing up time across the whole pharmacy team means staff have been upskilled to help deliver more advanced and enhanced services. This has also gone some way to allaying early fears that the robot would replace people. “Care homes and community dosette boxes are still a core part of our business,” Mr Khosla says. But now staff have time and space to spend with customers, which he says has contributed to a number of branches recording an extra £1,000 a month in retail sales. And “services have definitely improved”, he adds. Eighteen of his 20 pharmacies completed the maximum of 400 medicines use reviews last year, and each pharmacy is now delivering at least one new medicine service consultation a month – whereas previously five or six branches hadn’t delivered any. All 20 branches are healthy living pharmacies, and every premise has achieved the full 100 quality payment points, Mr Khosla adds. “Twenty shops getting maximum points on quality payments isn't easy. It took a lot of time and we managed it and now we have all our pharmacies completing the safeguarding criteria. We have health champions in every shop, and all of our staff are dementia friends,” he says. Eighteen of Medipharmacy’s branches are also signed up to NHS England’s digital minor ailments referral service pilot, which in Mr Khosla’s opinion isn’t as effective as the traditional schemes – which help to drive people into pharmacies, rather than send them “all over the place” via NHS 111. However, staff in the 18 branches will be engaging with the referral pilot, as it is a funded opportunity to improve patient health, he says. 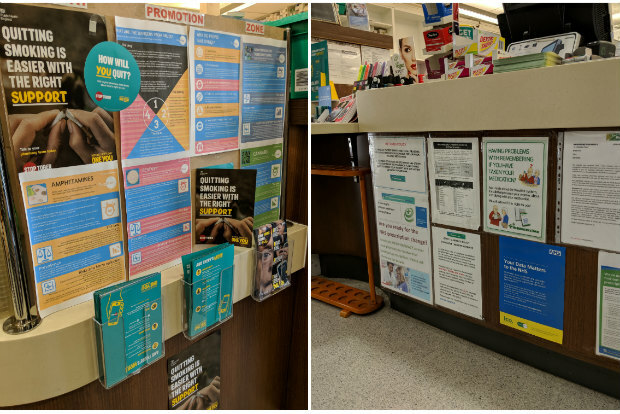 By moving some staff to different stores and undergoing a “reallocation” of some roles, no Medipharmacy employees were “replaced” as previously feared, and instead, dispensers and counter assistants have been upskilled to help deliver services such as smoking cessation, and blood pressure monitoring, as well as hold effective conversations with patients as part of the locally commissioned minor ailments scheme in five Medipharmacies in the Greater London area. The time, money and resource Mr Khosla has invested into the business over the last few years is already paying off, but he’s not stopping there, with plans to refit all the pharmacies’ retail spaces in 2019. “I don't want to lie and say we're the perfect pharmacy company, but we do try to engage in everything,” Mr Khosla says. While it might have been an expensive project to undergo, the efficiency savings realised across the whole Medipharmacy business has made the expense and hard work worth it, he adds. Could you win the C+D Award for Business Initiative of the Year in 2019? Entries for all 14 categories – including the new Locum of the Year Award – are now open, so find out more and enter below. Could you take home the Business Initiative of the Year at the 2019 C+D Awards? I am sure Mr Khosla has done his sums to justify the cost of the robotic investment. Care home supplies is a loss leading business as it is and it's difficult to justify any additional costs, e.g. running and maintenance costs. With the drop in fee income being paid by NHS, I wonder how many years it will take to recover the investment. Good luck Sumeet. On a recent holiday in Spain a patient brought a credit card size token into the pharmacy. This was inserted into the till and within a few moments robotic arms collected the calendar packs then travelled along a conveyor belt and dropped them into a basket ready for giving to the patient. Pharmacist involvement - zero! Should we be frightened of this? I really think so. Amusing. But will they be smiling in a few years when they're unmeployed because the company have invested in a couple more 'robots'. Good to see a small/medium sized company investing in technology. I've got 2 questions to add to the one Julie Friday has asked. Do you get care home scripts as 7 or 28 day scripts? Our local GP stopped 7 day scripts years ago as care home patients only got a monthly delivery so 7 day was not required (and ccg guidance). We gave up dispensing to the care home as it was economically unviable. Secondly, does the operator by themselves pop out medication for 84 care homes to load the machine? That must be the most boring job in the world if so. If you do a count of the total number of tablets/capsules across a batch of care homes e.g Simvastatin 40mg, then just use a deblistering machine to deblister said number of packs. Load into the canister, and pop into machine. Do you still need to be on the GPhC register as a Pharmacy Technician to call yourself and to carry out the responsibilities of an ACT. The two named ACT's above do not appear on the GPhC register for Pharmacy Technicians. Mr Khosla has clarified with us that both Pramod and Vinod underwent an 'Accuracy Checking for Dispensing Assistant' course, which allows them to carry out the final check of items, and is revalidated every two years. They are not accuracy checking technicians as previously stated, so are not registered with the GPhC. I have amended the article and picture caption to reflect this. Thank you for correcting it.